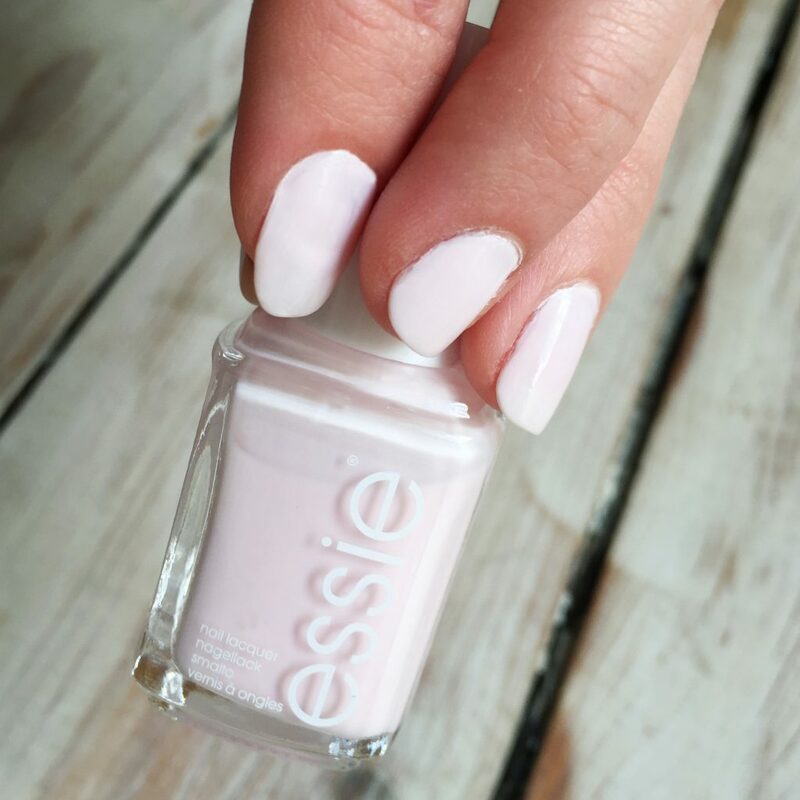 Essie is a brand from the US who specialise in nail varnish/lacquer with a huge range of shades, they have been supplying salons since 1981 with their fabulous nail polishes and now gels. 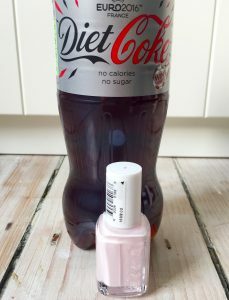 As some of you might know Diet Coke were running a promotion at Boots stores in May where you could purchase an Essie Nail Polish with a Diet Coke for a special price. Before now I hadn’t ever tried the Essie brand, and I wanted to take advantage of this promotion and reach out of my normal brand comfort zone, and try something new. I popped down to my local boots and out of the three shades that qualified with the promotion I liked the pale pink one the best. It was called Fiji and I hoped that it would go better with my skin-tone. I own a lot of dark reds and blues, and one of the shades was a deep red colour, and I wanted to try something new and out of my usual choice range. I was pleasantly surprised with the quality, the nail polish applied smoothly and had a lovely shine to it. The colour I chose suited my skin tone and looked very flattering with a range of outfits as I wore it over the weekend. It was a fairly thick lacquer, which was great because you could wear it with just one coat if you changed the colour regularly anyway. I could only wear mine for a couple of days before needing to remove it due to work commitments, so when I came to take it off I was surprised how much remover I needed. I think the quality is excellent and would have remained on my nails a long time without many chips if I had let it. I may test this theory with another essie purchase in the future to see how it stands up to other brands I have reviewed recently. Light shades seem to be on trend this year, and I don’t own many bright colours, so I think I definitely made the right decision by choosing this one. I hope to get more in the near future because there are so many shades available to try! Especially if you go to larger boots stores, I found the range very good in my local. Overall I think I have been converted to the essie brand, mainly because of how impressed I have been with the quality of this product. I find that it is obviously more expensive than what I am used to purchasing, but I am hoping to save up some boots points and when I fancy trying another shade use them to treat myself on this. Maybe I will review more in the near future – watch this space! Do you have any essie shades that you’ve purchased this year that you can recommend? I would love to hear other peoples experiences too. 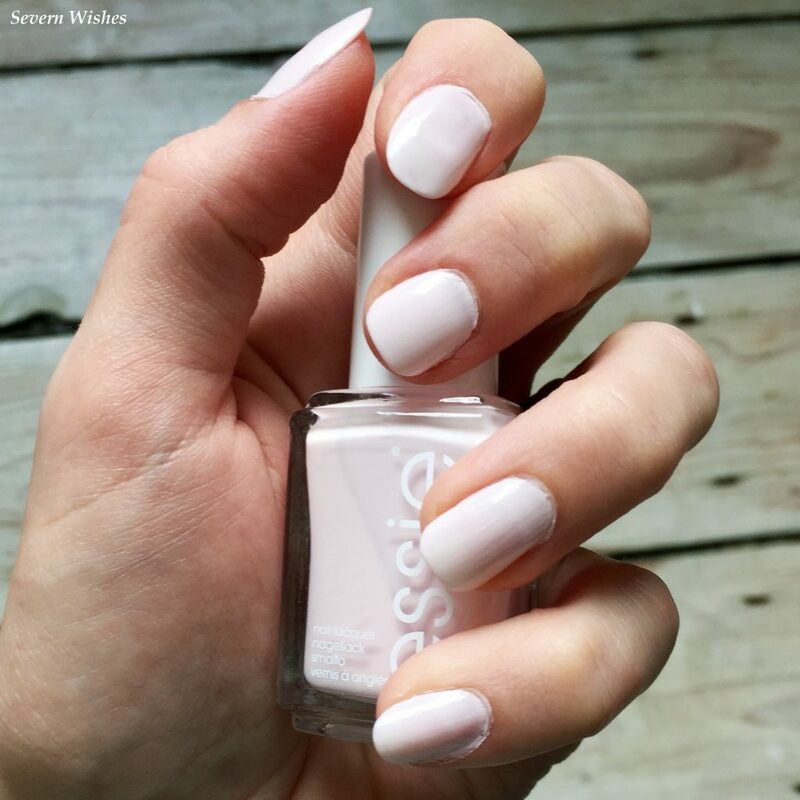 This entry was posted in Beauty, Makeup, Nail Varnish, Reviews by Sabrina. Bookmark the permalink. Hello Louise, I found this nail varnish to be strong and barely chipped. I did my hands with it though and not my feet. Usually my nail varnish on toe nails chips a lot less than my fingers.